Will you not speak out against the injustices being done to you or the Jewish world? The general plan of Hamas also includes the imposition of a special tax, called al-jeziya, upon all of the non-Muslim residents in the Palestinian territories. This tax revives the one applied through all of Islamic history to the dhimmi, the second-class Jewish and Christian citizens. Click above to read full story. JIM PERRY: We polled 100 Palestinians and asked them: "Do you support Al-Qaeda terror attacks on the United States and Europe?" Charlene, how many Palestinians said they do indeed support terror against the US and Europe? CHARLENE: Well Jim, I'm going to say that that number must be low, seeing as both the US and Europe are the PA Authority's biggest donors. I'm going to have to say thirty. TED: Well Jim, I'm going to have to agree with Charlene that the number must be low. I'll say it's even lower. JIM PERRY: Out of one hundred Palestinians surveyed, the number who say they support terror against the US and Europe is SIXTY FIVE! 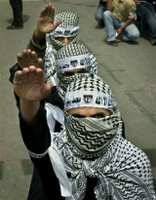 A poll carried out in the Palestinian Authority shows 65% support for Al Qaeda terror attacks on the United States and European countries - the biggest donors to the PA. Calling all Jews age 18-26! Get a free trip to Israel! Taglit-birthright israel provides the gift of first time, peer group, educational trips to Israel for Jewish young adults ages 18 to 26. Taglit-birthright israel's founders created this program to send thousands of young Jewish adults from all over the world to Israel as a gift in order to diminish the growing division between Israel and Jewish communities around the world; to strengthen the sense of solidarity among world Jewry; and to strengthen participants' personal Jewish identity and connection to the Jewish people. The gift of the 10-day trip is being provided by our partners: the people of Israel through the Government of Israel, North American Jewish Federations through the United Jewish Communities (UJC), and leading private philanthropists. Please take a few minutes to learn more about our partners, especially your local Jewish Federation, which is your gateway to community involvement, continued learning and leadership opportunities.Taglit-birthright israel operates on a belief that it is every Jewish person's birthright to visit Israel. To date, 88,000 young adults from 45 countries have traveled to Israel for the first time on Taglit-birthright israel trips. To learn more about signing up for a Taglit-birthright israel trip, click here. We are also available for questions via e-mail at information@birthrightisrael.com or via telephone at 1-888-99-ISRAEL. Information for parents can be found here. Registration for Spring/Summer 2006 trips will open on this site on February 8, 2006. "We kindle these lights for the saving acts, miracles and wonders which You have performed for our forefathers, in those days at this time, through Your holy Kohanim. Throughout the eight days of Chanukah, these lights are sacred, and we are not permitted to make use of them, but only to look at them, in order to offer thanks and praise to Your great Name for Your miracles, for Your wonders and for Your salvations." SECRETS OF THE FUTURE TEMPLE "Mishkney Elyon"
The inner meaning and purpose of the Future Temple are explained in full in Mishkney Elyon, a priceless jewel from the legacy of towering 18th century mystical genius Rabbi Moshe Chaim Luzzato ("Ramchal", 1707-47). The Temple is the center point where all the branches of the Tree of Life connect with their roots, channeling a flow of sustenance and blessing to the entire world. Chanukah means "dedication." Let's use this time to rededicate ourselves to Hashem and His Torah, Mitzvos, Ahavas Israel and our knowledge of the Holy Temple and its many mysteries. Me: The war is not over. Jerusalem is still under fire and Jews must not sit back and remain silent. 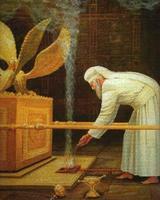 Speak out for the honor of G-d and his Holy Temple. 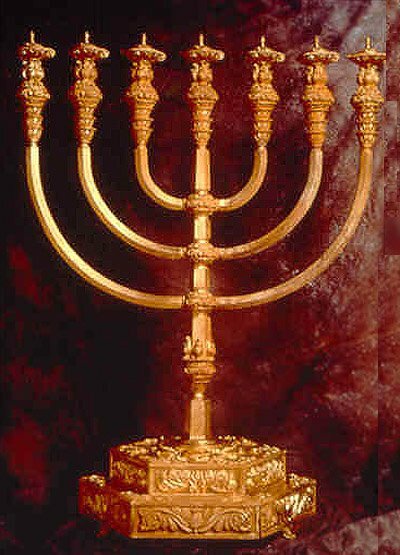 This Chanukah as you are celebrating, ask yourself: If need be, would I be willing to fight for Jerusalem and the Holy Temple? And Joseph dreamed a dream, and he told it to his brethren; and they hated him yet the more. 6 And he said unto them: 'Hear, I pray you, this dream which I have dreamed: 7 for, behold, we were binding sheaves in the field, and, lo, my sheaf arose, and also stood upright; and, behold, your sheaves came round about, and bowed down to my sheaf.' 8 And his brethren said to him: 'Shalt thou indeed reign over us? or shalt thou indeed have dominion over us?' And they hated him yet the more for his dreams, and for his words. 9 And he dreamed yet another dream, and told it to his brethren, and said: 'Behold, I have dreamed yet a dream: and, behold, the sun and the moon and eleven stars bowed down to me.' 10 And he told it to his father, and to his brethren; and his father rebuked him, and said unto him: 'What is this dream that thou hast dreamed? Shall I and thy mother and thy brethren indeed come to bow down to thee to the earth?' 11 And his brethren envied him; but his father kept the saying in mind. If you take the words: אֲשֶׁר חָלָמְתָּ: הֲבוֹא and chop off the first two letters and the last three letters you get: ר חָלָמְתָּ: הֲ. Squeeze 'em together and it spells "Rachel Maetah" or "Rachel is [already] dead." I dreamed that Mashiach had come and all the Jews were back in rebuilt Jerusalem. I stood by the huge green doors of the Temple Mount and they swung open and I wept as I was welcomed on the Mount for the first time. And I want manditory Kollel for all secular Israelis. Next they'll allow anti-Zionist, anti-Semite Arabs in the Knesset. Bishara, addressing an Arab audience in Lebanon late last week, asserted that Arabs were the original residents of the land and urged Israelis to leave and "take their democracy" with them. ”Israel is the 20th century's greatest robbery, carried out in broad daylight. I will never recognize Zionism even if all Arabs do. I will never concede Palestine. The battle is still long," Bishara stated at a Lebanese book fair in Beirut. (IsraelNN.com) After much hard work and research, the techelet (azure blue) robe of the High Priest has been completed by the Temple Institute and it is hoped to be fit to be worn in the Third Temple. The blue coat, or me'il techelet as it is called in the Torah, sports 72 golden bells alternating with 72 pomegranates attached around its hem, woven of blue, purple, and scarlet wool. The project was researched and undertaken by skilled artisans over the past three years. It will join the already completed ephod and choshen (breastplate), featuring the 12 precious stones associated with the 12 tribes of Israel. Master weaver Yehudit Avraham wove the robe using the Navajo "two-sided" weaving technique. "This is the first robe woven entirely out of techelet in nearly 2,000 years," Rabbi Chaim Richman of the Temple Institute told Arutz Sheva Radio. Chanukah means "dedication." The Temple was cleansed and rededicated on this holiday. How will you be celebrating this miracle? Dreidel? Gifts? Latkes? Perhaps there's more we, the Children of Aharon and Levi, could be doing. I therefore call upon all Kohanim and Leviim to dedicate (or rededicate) themselves to the Halachos of Kodshim (holy objects), Taharos (purity) and Avodah (Temple Service). With all of the events unfolding in the world, it seems even more pressing that we dedicate ourselves to this knowledge. Lest you get carried away with today's good news from Iraq, consider what's happening next door in Iran. The wild pronouncements of the new Iranian president, Mahmoud Ahmadinejad, have gotten sporadic press ever since he called for Israel to be wiped off the map. He subsequently amended himself to say that Israel should simply be extirpated from the Middle East map and moved to some German or Austrian province. Perhaps near the site of an old extermination camp? Except that there were no such camps, indeed no Holocaust at all, says Ahmadinejad. Nothing but "myth," a "legend" that was "fabricated . . . under the name 'Massacre of the Jews.' " This brought the usual reaction from European and American officials, who, with Churchillian rage and power, called these statements unacceptable. That something serious might accrue to Iran for this -- say, expulsion from the United Nations for violating its most basic principle by advocating the outright eradication of a member state -- is, of course, out of the question. To be sure, Holocaust denial and calls for Israel's destruction are commonplace in the Middle East. They can be seen every day on Hezbollah TV, in Syrian media, in Egyptian editorials appearing in semiofficial newspapers. But none of these aspiring mass murderers are on the verge of acquiring nuclear weapons that could do in one afternoon what it took Hitler six years to do: destroy an entire Jewish civilization and extinguish 6 million souls. Everyone knows where Iran's nuclear weapons will be aimed. Everyone knows they will be put on Shahab rockets, which have been modified so that they can reach Israel. And everyone knows that if the button is ever pushed, it will be the end of Israel. Or how about that always hilarious David Duke in the wacky Israel is like the Nazis. Or perhaps you're looking for something to tug at your heart strings. Well, then scroll down the page and you'll find the tragic head of the Neturei Karta (Yimach Shemam) wailing that Israel is Satanic. 9000 hits in one year! Christian missionaries, primarily from the United States, have been pressuring the Israeli government to prevent demonstrations against their activity. Oh no, I hope they won't turn violent! "No Jerusalem, no peace,” declared PA Prime Minister Ahmed Quriea at a special cabinet meeting of the Palestinian Authority’s government on Monday. Quriea, also known by the name he used as a PLO terrorist, Abu Ala, is a senior PA offical, second to PA chief Mahmoud Abbas. He promised that the Palestinian Authority would never give up its demand for sovereignty over Jerusalem and goal of making it the capital of a Palestinian state. That goal, he said, has become the PA’s primary consideration for peace with Israel. Quriea announced at the meeting that the PA will be taking positive steps to exert its influence over Jerusalem. He said the PA planned to transfer income support payments to Arab families living in the city. He said the PA was trying to enlist donations for that purpose from countries that contribute money to finance the operations of the PA government. The United States, Europe, and various Arab countries regularly donate money to the Palestinian Authority. Quriea thanked the government of Saudi Arabia for its contributions towards realizing the PA’s goals in Jerusalem.Jerusalem, the capital of the Jewish State, is under Israeli sovereignty. The city was liberated in two stages, the western part in the 1948 Independence War, and the eastern part in the 1967 Six Day War. The eastern part of the city, which contains the Old City, Western Wall, and Temple Mount, also includes numerous Arab neighborhoods. The Israeli government formally annexed the eastern part of the city shortly after the Six Day War. The Palestinian Authority, set up by the Oslo accords in 1994, is based in Ramallah, north of Jerusalem. PA operations in Jerusalem are forbidden, according to those agreements. They are also illegal under Israeli law. Me: Here's my counter offer: Go scratch your a** with a broken bottle. Baruch Hashem! Birkas Kohaim VIDEO! I just found this very moving video on Google. Blessing by the Kohanim at the Western Wall on Chol HaMoed Sukkos 5756. Ha-Mikdash is one year old! Thank you for a great first year! Please keep reading and telling others about the site. May we merit the coming of Mashiach Ben David this year and may the Temple be speedily rebuilt thereafter. The Palestinian Authority’s Office for Religious Affairs claims that the Western Wall, revered by Jews for generations as the last structural remnant of the Second Holy Temple, is Moslem property. The PA office claims Moslem ownership of the Western Wall by referring to the wall on its website as the Al-Boraq Wall. According to Moselm legend, the wall is the place where Mohammed parked his horse, named Boraq, before ascending to heaven. Moslem tradition holds that Mohammed rose to heaven from the Temple Mount, though that idea is not mentioned anywhere in the Koran, the central text of the Moslem faith. The Palestinian Authority’s official website, echoing the claims of its religious affairs office, also attempts to negate Jewish ownership of the Western Wall. The PA contends that Israeli archeological digs near the site of the Western Wall, also commonly known as the Wailing Wall, “totally failed to find any proof that support their false claims” to the Wall. Me: No comment except for the fact that once again this proves that we are dealing with revisionist liars who have no grasp of reality. But hey, let's keep negotiating! MK Chanan Porat, a former NRP Knesset Member and a National Union founder, says the rabbis must become more actively involved in removing the disputes blocking a merger between the two parties. Speaking with Arutz-7's Yigal Shok on Thursday, Porat - himself a rabbi and Torah scholar - said, "The argument over who will head the party is that which is currently holding up the unification. The claims that the issues revolve around 'difficulties in formulating the agenda,' and the Land of Israel's weight in the agenda, are merely spins for the media." NRP sources have claimed that the National Union is placing too much emphasis on the struggle for the Land of Israel [Eretz Yisrael] for their taste, and that the NRP wishes to give more prominence to social and educational issues. Me: Keep bickering. You'll have plenty of time to resolve issues when you're living in Islamic Palestine (Ch'VS). I dreamed that I was driving by a home and was asked to call 911 because someone inside was ill (he was an Orthodox Jew... that's all I knew). I called and hundreds of people started flocking to the house to help. After the man was healed, we all marched to the Holy Kotel in Jerusalem to dance. There were hundreds of thousands of people, some holding up flags or pennants, dancing their way to the Wall. I noticed that the dancing was dying down so I decided to do something about it. There were three other rooms where Jews were hanging out. One room was filled with secular Jews who were eating and drinking in a fashion not unlike a secular New Years party. In the second room, Jews were just talking but not following me to the Wall, the third room was a Beis Medrish where Orthodox Jews were davening. It hurt me that they would daven there and not at the Wall. All I wanted to do was to keep the dance going and show the world that the Jews were one people. I was able to coax some people to follow me to make a kiddush Hashem but many would not come. Shame on the Presbyterian Church! "I will bless those who bless you, and whoever curses you I will curse." Presbyterian Christians from Chicago met recently with Hizbullah terror chief Hassan Nasrallah in Lebanon. The meeting took place during a trip co-sponsored by the Chicago Presbytery’s Middle East Task Force, in which Rev. Bob Reynolds of the Presbytery’s executive board took part. The trip’s leader, Dr. Robert Worley, praised Hizbullah and expressed understanding for the terror group’s activities against the Jewish state, saying that Presbyterians “have suffered much pressure on the part of Jewish organizations.” Worley also told Nasrallah that Jewish influence in America leads to the perception that Hizbullah is a terrorist organization. Amazing film! - Who are you? 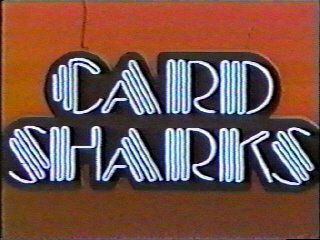 You need to wait a few minutes past the credits for it to actually begin. Even more new links... come and get 'em! And now, this commandment is for you, O Kohanim. 2 If you will not hearken, and if you will not take it to heart, to give glory unto My name, says the L-rd of hosts, then will I send the curse upon you, and I will curse your blessings; I curse them, because you do not take it to heart. 3 Behold, I will rebuke the seed for your hurt, and will spread dung upon your faces, even the dung of your sacrifices; and you shall be taken away unto it. 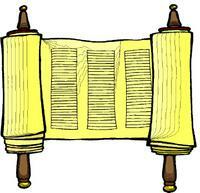 4 Know then that I have sent this commandment unto you, that My covenant might be with Levi, says the L-rd of hosts. 5 My covenant was with him of life and peace, and I gave them to him, and of fear, and he feared Me, and was afraid of My name. 6 The law of truth was in his mouth, and unrighteousness was not found in his lips; he walked with Me in peace and uprightness, and did turn many away from iniquity. 7 For the Kohain's lips should keep knowledge, and they should seek the law at his mouth; for he is the messenger of the L-rd of hosts. 8 But you are turned aside out of the way; you have caused many to stumble in the Law; you have corrupted the covenant of Levi, says the L-rd of hosts. 9 Therefore have I also made you contemptible and base before all the people, according as you have not kept My ways, but have had respect of persons in the law. When will the Kohanim of today take this to heart? Where is the Teaching? Where is the Learning? Why are we not devoting ourselves to our birthright and delving into the vast body of knowledge that awaits us regarding Taharos, Karbanos and Kodshim? Campaign to Divest from "Palestine"
Click HERE to see a gorgeous picture of Jerusalem that I discovered on Rabbi Brody's awesome blog. Rabbi Yisrael Eichler, formerly representing Agudat Yisrael in parliament, is working to draft joint "red lines" for all right-wing and religious political parties. In an interview with Arutz Sheva Radio on Tuesday, Rabbi Eichler said that his efforts are aimed at foiling a divide-and-conquer approach from being effective against the religious and right-wing parties. Prime Minister Ariel Sharon used such an approach successfully after the last elections, according to Eichler, ultimately destroying both the Torah world and the Jewish communities of Gaza and northern Samaria. "And his hand is still outstretched for more," the former MK warned. Rabbi Eichler said that he is working on drafting key non-negotiable positions for all religious and right-wing parties to agree upon ahead of coalition negotiations for the next government. He is seeking to prevent a situation in which, among the right-wing and religious parties, "in order to get some extra kneideleh [matzah ball], one [party] will enter [the coalition] at the expense of another." Ideally, Eichler would like to see a joint commitment by the right-wing and religious parties that any future coalition must include all or none of them. 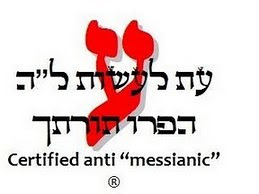 However, barring that, he is working on a minimal agreement that the religious Zionist parties will fight legislation that could harm the interests of Hareidi Torah institutions and the Hareidi parties will fight legislation that harms the interests of Jewish communities in Judea and Samaria. The first stage in forming his envisioned right-religious coalition, Rabbi Eichler said, is forming a single Hareidi bloc including Shas, Agudat Yisrael and Degel HaTorah. However, Eichler admitted that such a bloc is difficult to generate. Shas, he said, is concerned about losing traditionalist, but not Orthodox, voters to the secular parties should the Sephardic movement agree to join Ashkenazi Hareidim in one party. I call upon all Religious parties in Israel to band together to stop the fatal bleeding in the Knesset. The status quo is not working, and with Mr. Sharon's final leap into insanity by becoming more "left" then Labour, it seems that the time for unity and "Achdus/Achdut" among the Religious of Israel is now. 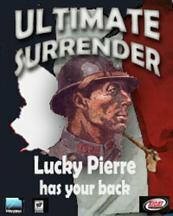 For the sake of the State and the Jewish people -- UNITE! No! Impossible! I won't hear of such things! (fingers in ears) Lalalalalalalalalalalala. Read the full Article HERE or click above. One of the most valuable "acquisitions" of the Kadima Party, MK Chaim Ramon, formerly of Labor, said openly last week that Sharon will unilaterally withdraw to final borders in Judea and Samaria if Palestinian terror continues. IMRA reported that Ramon said this on a live interview on Channel 10's "London and Kirschenbaum" news program just hours after he announced his decision to join Sharon's Kadima. Laughable. These Crusader Europeans, who watch as their cities burn from Muslim extremisim, have the chutzpah to chime in on Jerusalem. When will they learn? Ra’id Salah, head of the radical Islamic movement in Israel, which denies the Jewish state’s right to exist, paid a visit to the mosques on the Temple Mount on Sunday. Why there can be no peace. "By killing Jordanians here in Jordan, civilian Jordanians going to a wedding, they did something that not even a Jew would do," he said. Extry! Extry! French are Idiots! Moslem riots in France have fanned anti-Semitism, and four synagogues and Jewish schools have been firebombed, despite Jewish media reports that Jews are not being targeted more than others. Archaeologists announced this week the discovery of a 3,000-year-old Hebrew inscription. It is merely the latest of a series of dramatic archaeological finds in Israel in recent months. Archaeologists have discovered a 40-pound stone containing the oldest known example of the Hebrew alphabet. The stone, inscribed with the Hebrew alphabet written out in its traditional order, was found in the wall of a building dated from the 10th century BCE in Tel Zayit, ancient Judea, south of Jerusalem. The building itself was part of a network of structures at the site, indicating an important border town connected to a centralized kingdom. The discovery was made by Dr. Ron Tappy, a professor at the Pittsburgh Theological Seminary, on the last day of a five-week dig at Tel Zayit. "This is very rare," he said, "This makes it very historically probable there were people [3,000 years ago] who could write." In an interview with the New York Times, Dr. Tappy said, "All successive alphabets in the ancient world, including the Greek one, derive from this ancestor at Tel Zayit." In addition to constituting an important contribution in understanding the history of writing, the inscription helps to counter claims that the Bible could not have been written by Jews in ancient times, experts said. The find, in its context, suggests literacy levels that support Biblical writings of a unified Jewish kingdom. Ever since her passing, thousands of men, women, and children have journeyed to the Tomb of Rachel (Kever Rochel) to request her intercession on their behalf. The barren pray for children. The sick pray for health. The lost and the troubled pray for release and relief. Please also see the page on Rachel which explains the custom to wear a "Red Bracelet". Jacob must have known that her resting place would become, a destination for spiritual people to come pray and connect with the soul of Rachel, Jacobs destined soulmate, the mother of "Hope and Faith". Rachel died in childbirth of her second son Benjamin. Jeremiah 31:14: "Thus said Hashem: A voice is heard on high, wailing, bitter weeping, Rachel weeps for her children; she refuses to be consoled for her children, for they are gone. Thus said Hashem: Restrain your voice from weeping and your eyes from tears; for there is reward for your accomplishment - the word of Hashem - and they will return from the enemy's land. 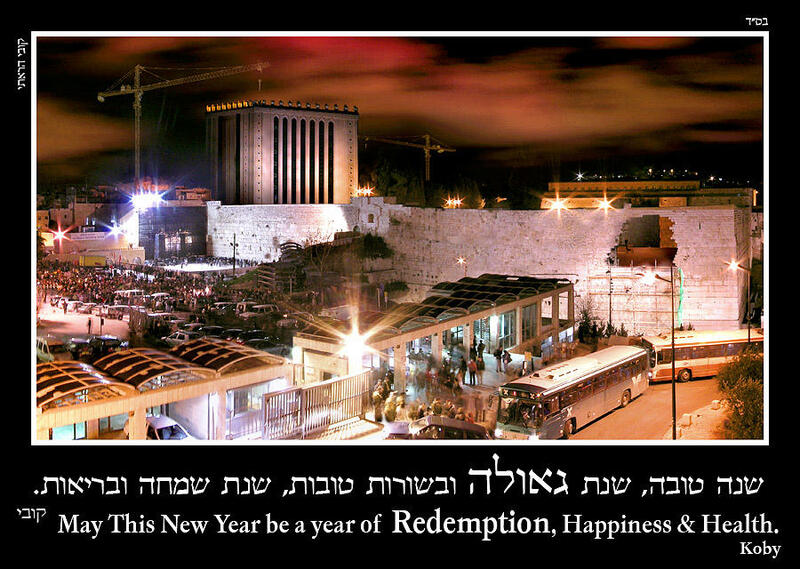 There is hope for your future - the word of Hashem - and your children will return to their border." Holy Temple enthusiasts observe Tuesday, the 6th of Heshvan as a minor holiday – a tradition observed by the Rambam (Maimonides) - to commemorate his ascent of the Temple Mount. The Committee to Prevent Temple Mount Artifacts Desecration warns that Muslim Waqf construction works are once again underway - this time at the Temple entrance path taken by Jews 2,000 years ago. The Committee sent a letter on the matter this week to the Prime Minister and to the Director of the Antiquities Authority. The letter states that new information has been received indicating the Waqf's intention to continue its "refurbishing" works on the Mount. Yisrael Caspi, an active member of the Committee, told Arutz-7, "For some years now we have been standing guard to try to have the Waqf stop its destruction works. The Waqf is trying to take over the Mount and make it a totally Moslem site, with no Jewish presence." Caspi said that the latest information indicates that the Waqf plans to begin work at the site known as the Hatunya, adjacent to the Southern Wall excavations and the Dung Gate entrance to the Western Wall. "A staircase leads from the Temple Mount plaza downward under the Al Aksa mosque [south of the Dome of the Rock]," he said, "to two tunnels built by King Herod 2,000 years ago. The tunnels served the Jews who entered the Holy Temple from the Hulda Gate on the Southern Wall of the Temple Mount. Today, we see the Hulda Gate, but just to the left is a building called the Hatunya, built several hundred years ago. The Waqf wants to excavate the tunnels and the Hatunya, and, based on past experience, turn it into yet another mosque - while hiding or destroying Jewish artifacts." Click here for a "restoration drawing" of the Hulda Gate entrance. "We firmly object to granting the Waqf a construction permit for its Temple Mount works," the Comittee's letter states, "and we demand that all work be carried out only under the supervision of the Antiquities Authority." Caspi said, "Our past experience has shown that the Waqf does not exactly have an interest in preserving the archaeological findings there, and especially not the Jewish ones. On the contrary: They want to hide and even destroy all Jewish findings. This is our concern. We demand that the Antiquities Authority - which is not taking a strong enough position on this issue - be responsible once again for what goes on there." "In the past," Caspi said, "the government of Israel gave a permit for Waqf renovations in the Solomon's Stables area of the Temple Mount and under the Al Aqsa mosque [just south of the Dome of the Rock]. The bottom line was that the works were done without supervision, archaeological findings are feared hidden and destroyed, new mosques were built on the Temple Mount, and Jews are prevented from visiting the most important Jewish sites in history." Caspi said that while he and his colleagues try - so far with little success - to find MKs or others who can intervene with the Prime Minister on this issue, the public can do its part as well: "They should fax the Prime Minister's Office [at 02-670-5475 from within Israel; +9722-670-5475 from abroad] and protest the fact that his policies are allowing the Moslems to totally take over our holiest site and keep us, and our history, out." For more information, send email to itac45@inter.net.il. The violence that has wracked Paris suburbs over the past week has spread to new areas and outside the French capital for the first time. Youths burned buildings and more than 500 vehicles in the eighth consecutive night of rioting. Nearly 80 arrests were made in Paris. Cars were torched in the eastern city of Dijon, and sporadic unrest broke out in southern and western France. A handicapped woman was doused with petrol and set on fire by youths during another night of rioting in Paris. The 56-year-old suffered third degree burns to 20% of her body in the attack. Witnesses said a youth poured petrol over the woman and then threw a Molotov cocktail on to the bus she was travelling on in the suburb of Sevran. A conference this week unveiled the Sanhedrin project to the public, shifting away from euphoric satisfaction with the launch of the Court one year ago and moving toward broadening participation. 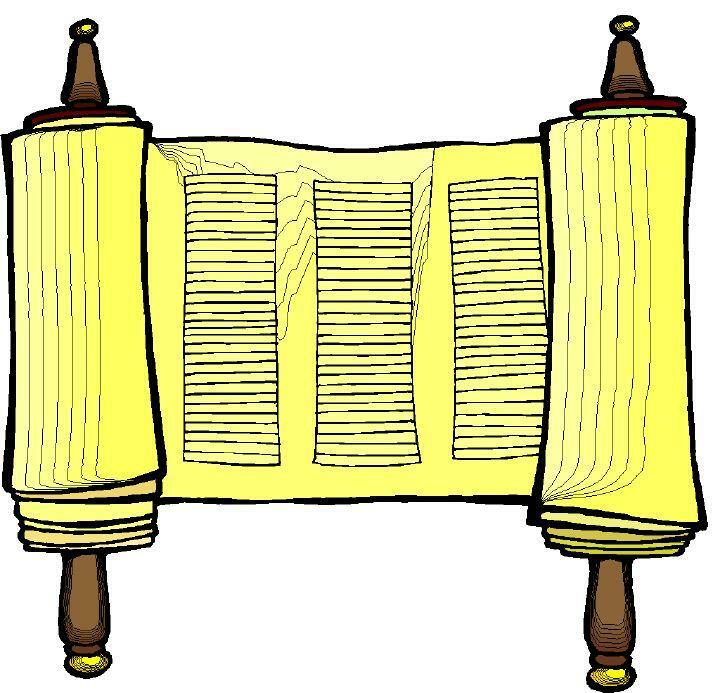 Since it was launched in Tiberias last year, the Court of 71 rabbis has strived to fulfill the halakhic (Jewish legal) requirements for renewing authentic semicha (rabbinic ordination passed down from Moses) and for reestablishing the Great Court, which was disbanded 1,600 years ago. At Sunday’s conference, distinguished members of the Court, led by Rabbi Adin Even-Israel (Steinsaltz), presented a humble, yet exhilarating plan to widen the scope and acceptance of the Court to truly move toward becoming the restored Sanhedrin of old. Along with the increasingly modest references to the current institution of a Court or Sanhedrin project came new high-caliber participants in the project. Rabbi Even-Israel publicly accepted the position of Nassi, President of the Sanhedrin, and Rabbi Re’em HaCohen – head of the Otniel Hesder Yeshiva - delivered the first address of the morning. Kiryat Arba Chief Rabbi and Dayan (Rabbinical Court Judge) Dov Lior spoke both at the conference and later at the festive meal. 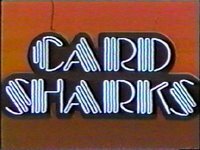 More links added on side bar. The PA Saturday demanded that the international community force Israel to cease attacking rocket and mortar shell launching sites. Arab terrorists fired rockets on Sderot and on a moshav. The Supreme Court has ordered a change to its ruling allowing Jews to pray on the Temple Mount on the Sukkot holiday. 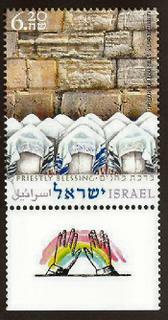 The Jews may visit, but not pray there. Click above for the rest of the story. Me: Funny, in the USA I can pray anywhere. The Al Jazeera Arab site has accused "dozens of Jewish extremists" of storming the Al Aqsa Mosque on the Temple Mount and clashing with Moslem guards. The charge was made after the worshippers won a court appeal allowing them to pray on the Temple Mount between for a short time. United Press International (UPI) quoted Arab sources as saying that members of the Temple Mount Guardians "performed religious rituals inside the mosque's yard" after the court for the "the first time in 30 years [granted] permission" to Jews to pray on the site. Mosque director Mohamed Hussein was quoted assaying, "Since the beginning of Ramadan, the holy month of fasting for Muslim, extremist settler groups intensified their attacks against the mosque. These acts, and the court’s decision, could lead to dangerous results." On Monday, the eve of the Sukkot holiday, the High Court of Justice handed down a ruling officially permitting Jews to pray on the Temple Mount but stipulated that prayers must conclude by 9 a.m. in order to prevent a confrontation with Moslems, who usually arrive at that time.The decision set a precedent as it permits Jews not only to visit the Mount but also to pray there. Such a position has not been taken by the court since at least 1976. וְהָיָה, כָּל-הַנּוֹתָר מִכָּל-הַגּוֹיִם, הַבָּאִים, עַל-יְרוּשָׁלִָם; וְעָלוּ מִדֵּי שָׁנָה בְשָׁנָה, לְהִשְׁתַּחֲו‍ֹת לְמֶלֶךְ יְהוָה צְבָאוֹת, וְלָחֹג, אֶת-חַג הַסֻּכּוֹת. יז וְהָיָה אֲשֶׁר לֹא-יַעֲלֶה מֵאֵת מִשְׁפְּחוֹת הָאָרֶץ, אֶל-יְרוּשָׁלִַם, לְהִשְׁתַּחֲו‍ֹת, לְמֶלֶךְ יְהוָה צְבָאוֹת--וְלֹא עֲלֵיהֶם, יִהְיֶה הַגָּשֶׁם. יח וְאִם-מִשְׁפַּחַת מִצְרַיִם לֹא-תַעֲלֶה וְלֹא בָאָה, וְלֹא עֲלֵיהֶם; תִּהְיֶה הַמַּגֵּפָה, אֲשֶׁר יִגֹּף יְהוָה אֶת-הַגּוֹיִם, אֲשֶׁר לֹא יַעֲלוּ, לָחֹג אֶת-חַג הַסֻּכּוֹת. יט זֹאת תִּהְיֶה, חַטַּאת מִצְרָיִם; וְחַטַּאת, כָּל-הַגּוֹיִם, אֲשֶׁר לֹא יַעֲלוּ, לָחֹג אֶת-חַג הַסֻּכּוֹת. An official Vatican newspaper has reported that during his upcoming visit to the Vatican, President Moshe Katsav will sign an agreement giving parts of David’s Tomb over to papal control. Me: Here's the offer: They can have a small patch of the tomb provided we get back our Menorah, the Tzitz of the Kohain Gadol and all our relics and holy books that are collecting dust in the basement of the Vatican. Deal? A nature reserve below Mount Scopus in Jerusalem was the scene of an ongoing archaeological rescue project Wednesday. Dozens of volunteers searched through refuse dumped at the site by the Muslim Wakf (religious authority) in Jerusalem's Old City during the Wakf's construction of underground mosques on the Temple Mount. Archaeologists have found among the refuse many artifacts of historical import, including seals discovered just three weeks ago that date from the era of the First Temple (that built by the Biblical King Solomon). Thanks again to Yisrael Medad for showing me this. On Thursday night, Rabbi Yitzhak Kaduri said, "Jews must come to the land of Israel to receive our righteous Mashiach (Messiah), who has begun his influence and will reveal himself in the future." It was during the meal after the 24-hour Yom Kippur fast that several followers approached the 104-year-old leading known Kabbalist Rabbi in Israel. A family member asked him about his remarks last month regarding natural disasters in the world. The Rabbi said that the disasters are directly related to the redemption process, which will culminate in the coming of the Mashiach. The Rabbi added that in the near future, another wave of natural disasters will strike the world. Thanks to Yisrael Medad for pointing this out to me. The Sukkot holiday used to mean not only moving into temporary quarters, but housing those quarters themselves in temporary quarters - Jerusalem. Some families aim to renew that custom this year. "We know that there is a Biblical commandment to visit Jerusalem on the three Festivals, but on the Sukkot holiday, it is more than just a visit. Shavuot (Pentecost) is only one day, and the commandment on Passover is also only for one day - but the commandment on Sukkot is to 'rejoice before G-d for seven days'. We are commanded on Sukkot to live in temporary huts, or booths, and it's clear that with the masses of people who came, not all of their hundreds of thousands of booths could fit inside the city. Many huts were built outside the city, overlooking the Holy Temple, and there are many sources indicating this... It's logical that Mt. Scopus and the Mt. of Olives would be chosen for this purpose." The site chosen for the renewal of this practice is the Emek Tzurim National Park, on the slopes of Mt. Scopus, beneath Yeshivat Beit Orot and Hebrew University. "This is the location where we have been running an ongoing archaeological analysis of dirt and rubble from the Temple Mount," Zweig said. Volunteers have been sifting through truckloads of dirt carted away from the Mount after the Islamic Waqf perpetrated an illegal construction project there. Hevron leaders report that on Friday night, Muslim worshippers praying in the Cave of the Patriarchs (Ma’arat HaMachpela) damaged an ark in the Jewish area, adding as a result of their vandalism attack, they were unable to open the lock placed on the ark to protect Torah scrolls. Me: Speak out against this chilul Hashem and write the Knesset. Outrage if Jews did such a thing. Silence when Muslims do it. This must be stopped. May Hashem hear our pleas, forgive our sins and send Mashiach Tzedkeinu immediately for the swift redemption of all of Klal Yisrael. Knesset Member Avraham Poraz of Shinui demands that the government stop sponsoring a campaign promoting participation at Yom Kippur prayer services. In a letter to the Prime Minister's Bureau he released this morning, MK Poraz wrote, "It is not the job of the Prime Minister's Office in particular, nor of the State in general, to use public funds to publicize ads whose purpose is only to encourage Jewish repentance and participation in Yom Kippur prayers. The State has more important needs on which to spend money than this unnecessary campaign." For those of us who believe in G-d and His Torah... Here are some Yom Kippur resources (you may want to throw in an extra prayer for Shinui and their self-hating anti-semitic members). Issued by the Israeli Government. Thanks to Rav Yaakov Kleiman of "the Tribe" for forwarding it to me. From OU.org: "Tzom Gedaliah (Fast of Gedaliah) is an annual fast day instituted by the Jewish Sages to commemorate the assassination of Gedaliah Ben Achikam, the Governor of Israel during the days of Nebuchadnetzar King of Babylonia. As a result of Gedaliah's death the final vestiges of Judean autonomy after the Babylonian conquest were destroyed, many thousands of Jews were slain, and the remaining Jews were driven into final exile. The fast is observed on the day immediately following Rosh Hashanah, the third of Tishrei. In the Prophetic Writings this fast is called 'The Fast of the Seventh' in allusion to Tishrei, the seventh month. When Nebuchadnetzar King of Babylonia, destroyed the Temple's Sanctuary in Jerusalem and exiled the Jewish people to Babylonia, he allowed an impoverished remnant to remain in the land and appointed Gedaliah Ben Achikam as their Governor. Many Jews who had fled to Moab, Ammon, Edom, and other neighboring lands returned to the land of Yehudah, tended the vineyards given to them by the king of Babylonia and enjoyed a new respite after their earlier oppression. The King of Ammon however - hostile and envious of the Judean remnant sent a loyal Jew, Yishmael Ben Netaniah, to assassinate Gedaliah. In the seventh month (Tishrei) Yishmael came to Gedaliah in the town of Mitzpa, and was received cordially. Gedaliah had been warned of his guests murderous intent, but refused to believe his informants in the belief that their report was mere slander. Yishmael murdered Gedaliah, together with most of the Jews who had joined him and numbers of Babylonians whom the Babylonian King had left with Gedaliah The remaining Jews feared the vengeance of the Babylonian King and fled to Egypt. The surviving remnant of Jews was thus dispersed and the land remained desolate. In remembrance of these tribulations, our Sages instituted the 'Fast of the Seventh' on the day of Gedaliah's assassination in the seventh month." In the wake of the reports that an IDF commander ordered a religious soldier to unknowingly step on a prayer shawl (talit), Knesset Member Meir Porush (Agudat Yisrael) said the incident proves that Israeli youth is cut off from its own religious heritage. "The sorry incident in which a soldier was made to trample a talit proves that the youth in the state are cut off from basic Jewish values and know less than nothing about Torah and the heritage of Israel," MK Porush said. "On the eve of Rosh Hashanah 5766, it is fitting that the leaders of state understand that only if we succeed here in raising descendants who deepen their Jewish identity will no enemy or evil-wisher be able to break our spirit or harm us physically. "The time has come for the education system to return to all the Jewish students the cultural keys to the Jewish literary treasure trove, in order to preserve the spiritual light of our heritage, and in order to protect the Jewish spark so that it never, God forbid, go out." Me: Couldn't have said it better. From Arutz Sheva. Bolding is mine. Archaeologists have revealed they have found a Jewish seal from the period of the First Temple, according to Professor Gabi Barkay. The seal was discovered in debris which was taken from the Temple Mount six years ago and is the first time a Jewish artifact from the First Temple has been found, he added. The seal, less than one centimeter long and made from burnt mud, bears ancient Hebrew writing and probably was used for official documents and letters, Prof. Barkay said. It is more than 2500 years old and provides a direct link with the era of King David. Arab Moslems have authority over the Temple Mount site and have been systematically removing debris from the Temple Mount site for years despite protests from archaeologists who fear they will lose any opportunity to find remnants of the First Temple. 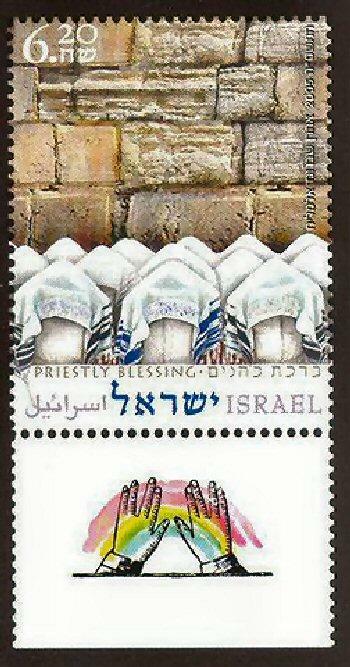 Arabs also have waged a publicity campaign claiming that the Jewish Temples never existed on the mount. But you shall be called the Kohanim of the L-RD, men shall call you the ministers of our G-d; you shall eat the wealth of the nations, and in their splendor will you revel. And their seed shall be known among the nations, and their offspring among the peoples; all that see them shall acknowledge them, that they are the seed which the L-RD has blessed. One of the signs of the End of Days? Israel's response to the recent Kassam rocket attacks on Sderot has been measured and appropriate, Kim Howells, Britain's Minister of State for the Middle East, told The Jerusalem Post, disregarding Palestinian appeals for the world to rein in the IDF. Me: A European country backing Israel? What's the world coming to? Ohr LaGoyim: It begins, Baruch HaShem! A council of non-Jewish observers of the Seven Laws of Noah has been selected and will be ordained by the reestablished Sanhedrin in Jerusalem this January. 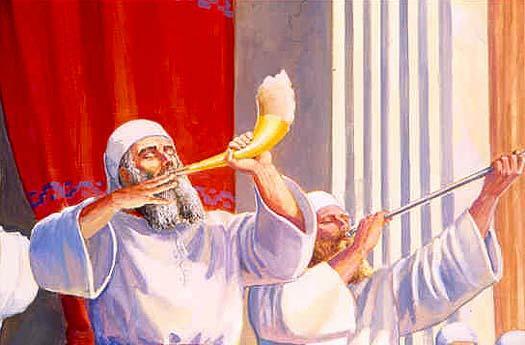 B'nai Noach, literally "Children of Noah," known as Noahides, are non-Jews who take upon themselves the Torah's obligations for non-Jews - consisting of seven laws passed on from Noah following the flood, as documented in Genesis. Read the full article from Arutz Sheva HERE or click above. Thanks to Kalman HaLevi for pointing this out to me. The government will soon open to the public a new archaeological site not far from a sensitive holy shrine in Jerusalem's Old City, officials said Tuesday.In 1996, Palestinian riots broke out throughout the West Bank when Israel opened ancient tunnels that run near the site of the biblical temples, which is now home to two Muslim mosques.The latest archaeological discovery is a ritual bath from the period of the second Jewish Temple, which was destroyed in A.D. 70, and a small wall from the period of the first Jewish Temple, destroyed in the year 586 B.C. The public will be able to view the remains with a light show about Jewish history in the coming weeks, said Rabbi Shmuel Rabinovitch, chief rabbi of the Western Wall, one of Judaism's holiest sites. Adnan Husseini, the head of the Islamic Trust that oversees the two mosques at the site, condemned the diggings and Israel's intention to open it to the public, calling it a "confiscation" of Muslim property. "And Judah also shall fight against Jerusalem"
(IsraelNN.com) A group of sixteen Jewish and Christian delegates from the United States returned home this week from a week-long trip to Israel. An official statement of the group - signed by, among others, delegates representing the Jewish Council for Public Affairs, the Religious Action Center of the Union of Reform Judaism and the United Synagogue of Conservative Judaism - expressed recognition for "the historic links [of]... the Palestinian People have to the land," and advocated a Palestinian State. The statement said, in part: "As representatives of mainline Protestant Churches and the American Jewish community, we have demonstrated that Christians and Jews can work together to seek peace even when there is disagreement on specific policies and solutions. As a result of these days, we will now be even more effective advocates for a secure, viable and independent Palestinian state alongside an equally secure State of Israel, affirming the historic links that both the Jewish People and the Palestinian People have to the land." Upon our return, we are committed to... Effectively support those Palestinians and Israelis who are courageously working for reconciliation and a two-state solution with concrete actions that will help sustain their work." Excellent clip on anti-Israel media bias. See it HERE. Consider giving a donation to help them in their work. The question is, what will the world do to stop it? Probably nothing. Well, it's time to stand up. Write the President, your Congressman or Senator, your local paper, anyone who will listen. Email this article to friends and loved ones and let's get the word out that this is unacceptable and will be met with resistance. Reb Yehuda Loew, the Maharal, 1609 (great grandfather of Alter Rebbe) , Reb Yehuda Loew, the Maharal (1525-1609). Born in Posen, Poland, on the night of the Pesach Seder, to a distinguished family of rabbis that traced its ancestry to King David. He was the youngest of four brothers. The Maharal married at the age of 32 to Pearl. He had six girls and one boy who was named after the Maharal's father, Beztalel. In 1553 he was elected rabbi of Nikolsburg and the Province of Moravia, where he remained for the following 20 years. In 1573 he moved to Prague, where he opened a yeshiva. In 1592 the Maharal accepted the position of rabbi in Posen, returning to Prague in 1598 to serve as its chief rabbi. The Maharal castigated the educational methods of his day where boys were taught at a very young age and insisted that children must be taught in accordance with their intellectual maturity. One of his leading disciples was Reb Yom Tov Heller, author of the classic mishnaic commentary, Tosafos Yom Tov, who, in his introduction informs us that the Maharal greatly encouraged group study of the Mishna. At the same time, he was fully conversant with the scientific knowledge of his time as well as friendly with some of the contemporary eminent scientists. His disciple, Dovid Ganz, worked in the observatory of Tycho Brahe, the distinguished astronomer. He was a prolific writer, and his works include: Tiferes Yisrael on the greatness of Torah and mitzvos; Netivos Olam, on ethics; Be'er Hagolah, a commentary on rabbinic sayings; Netzach Yisrael, on exile and redemption; Or Chadash, on the book of Esther; Ner Mitzvah, on Chanukah; Gevuros Hashem, on the Exodus; and many others. 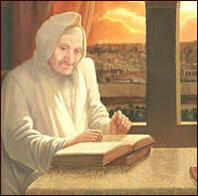 He was held in great esteem by his contemporaries and has had a profound impact on all streams of Judaism. Rabbi Kook stated that the "Maharal was the father of the approach of the Gaon of Vilna on the one hand, and of the father of Chasidus, on the other hand." He has been described as a Kabbalist who wrote in philosophic garb. Extry! Extry! Jews control weather! Conspiracy theorists jumped to incorporate Katrina into their anti-Semitic theories of Jewish manipulation. Some blamed Hurricane Katrina itself on Jews. "I have been informed that Hurricane Katrina was an event caused in order to create devastation…" wrote one person on the Aryan Nations Web site. "The reason behind this, is that Israel plans to use the port of New Orleans in order to ship in weapons of mass destruction to use against the American citizens, namely the Gentiles….I have no doubt that Israel and world-Jewry have been attempting to establish what they call Talmudic rule in this country." Me: Israel calling for Talmudic rule? In what universe? I would laugh if it weren't so sad. I called Rabbi Kleiman in Yerushalayim the other day and he informed me of the future endeavor of having a convention there for all the world's Kohanim. I think it's an excellent idea. More on this to come... and please feel free to post your thoughts. The Discovery of the "Cohen Gene"
Three weeks after National Union leader Benny Elon called for an election merger between his party and the NRP, NRP leader Zevulun Orlev asks for cooperation among all religious/right-wing parties. Me: Why so long? I recently heard a Shiur by Rav Ariel Bar Tzadok (Kosher Torah) where he predicted this would happen. Rabbi Kaduri stated, Sharon will be the last PM of the old Government before Mashiach. Im Yirtze Hashem. We need more Jews like Mr. Wiesenthal who gave our enemies no rest until they were punished. 7000 hits since December 14th. Thank you to all my readers. Please pass along the URL to others and let's keep growing! News from Palestinian sources protest Jews taking up residence near the Al-Aksa Mosque. Not a new story. Only weeks go, media expert Michael Widlanski reported that Voice of Palestine radio broke into its regular programming to announce that Israeli troops and Jewish extremists were invading Islamic holy places on the Temple Mount. Following that, came a report that Jordan's Ambassador to Israel, Dr. Marouf Bakhit, had rushed to declare to officials at the Israeli Foreign Ministry that his country was outraged over the "provocative act" of a group of Jews who had the insolence to visit the Temple Mount in commemoration of Jerusalem Day. The official Jordanian news agency declared this "a provocative act that could stir up confrontation and evoke outrage of Muslims around the world." It has been well documented that in September 2000 the Palestinian Authority used Ariel Sharon's visit to the Mount as a pretense for starting the Intifada they already had planned. This current incitement is bad news. Seems they're revving up the crowds again. It is time, I suggest, for us to start thinking seriously about the Temple Mount and our relationship to it as Jews. This is not an issue simply for those advocating building of a Third Temple on the Mount. I advocate nothing of the sort; yet, I see that it affects us all. Taharas Hakohanim is a dynamically growing organization of kohanim, and for kohanim. Geared to raise the halachic awareness of kohanim, and to facilitate the implementation of their unique birthright, Taharas Hakohanim continues to make a major impact on the general awareness of kohanim worldwide. Through classes, newsletters, academic publications, and informational resources for halachic questions, kohanim have finally found answers to questions that have been bothering them for years. Structural inspection and modifications in public buildings and thoroughfares have enabled kohanim to use otherwise prohibited places. Israel's leading known Kabbalistic Elder, Rabbi Yitzchak Kaduri called upon worldwide Jewry Tuesday night to return to Israel due to the natural disasters which threaten to strike the world. In an address in Gaza on Tuesday marking the Palestinian Authority (PA) victory over the “occupying force,” PA leader Mahmoud Abbas (Abu Mazen) made a point of thanking the Israeli left-wing for their efforts towards ousting the Jewish residents and IDF from Gaza. Reb Tzadok HaKohain of Lublin, author of Pri Tzadik, Resisei Layla, and other works (1823-1900). The son of Reb Yaakov HaKohen, Rov of Kreisberg, Reb Tzadok studied only the revelead aspects of Torah (halacha and Talmud) until he was 24. 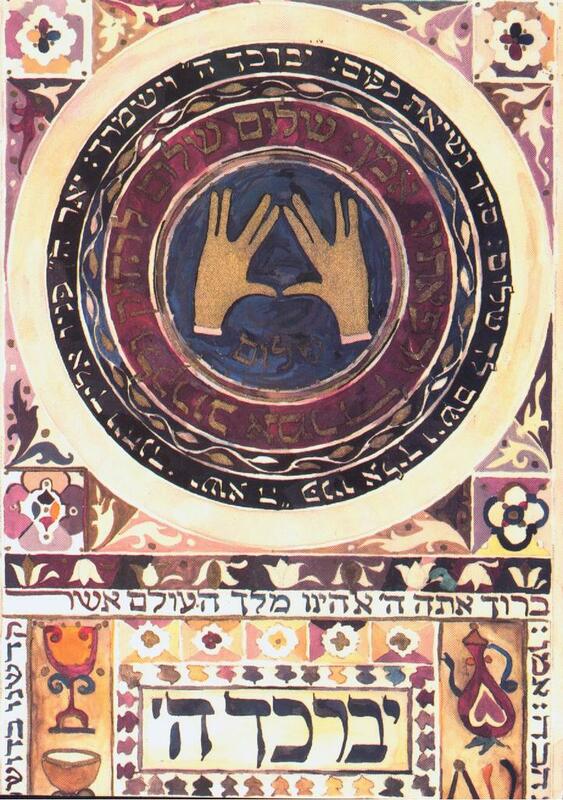 Beginning in 1847, he learned only kabbalistic teachings. Rabbi Tzadok became a chasid of the Izbitcher Rebbe and a close friend of Reb Yehudah Leib Eiger. Upon the death of Rebbe Eiger in 1888, he agreed to take over the leadership of the chasidim. Rabbi Tzadok was a prolific writer whose works made an enormous impact with their profound thoughts. Besides writing numerous chidushim, he also wrote scholarly essays on astronomy, geometry, and algebra. These sub-human terrorists torch Synagogues and Yeshivot, places dedicated to the worship and teachings of the One G-d, while we protect their mosques that sit upon our Holy Temple Mount. What If Jews Destroyed Mosques? The Kohanim: the Levites, even all the tribe of Levi, shall have no portion nor inheritance with Israel; they shall eat the offerings of the L-RD made by fire, and His inheritance. And they shall have no inheritance among their brethren; the L-RD is their inheritance, as He has spoken unto them... For the LORD thy God hath chosen him out of all thy tribes, to stand to minister in the name of the L-RD, him and his sons forever. Last night I had a dream where I heard the following message repeated a few times: "Twenty shall become one." It was something I was supposed to remember. It has been sitting in my brain all morning and I want to know what it means if anything. As I type this Chaim Dovid's song "20 Million Yehudim" just came on my iTunes totally randomly. In fact I was just listening to a classical music mix. Each one is loved and dear to Hashem as His own child. New links added in side bar. Enjoy. Click above to read this incredible interview! All Kohanim share a few particular middos (character traits). The two most evident ones are Z'rizus (zealotry) and Ahava (love). Pinchas was the perfect example of Z'rizus and Aharon HaKohain was the embodiment of Ahava as he was called an "Ohaiv Shalom" (peace maker). This weekend I had an epiphany... instead of looking at what divides the Jewish people and centering my thoughts on what people are doing wrong, I would like to focus my attention on Achdus (brotherhood) and Shalom. "Kol Yisrael Areivim Ze L'zeh" All Jews are responsible for one another. I thought: if the Beis HaMikdash was destroyed because of baseless hatred, perhaps we can merit its rebuilding if we show endless love for one another. I am going to try to do this more and more. I call upon all my readers to try and do the same. May Hashem see our efforts to reconcile with one another and bless us with the imminent coming of the Messiah. FYI: I designed the above bumper sticker and am having copies made to distribute. Look for it around the LA area. If you are interested in having one email me at Judahhakohain(at)Yahoo(dot com) and I will see what I can do.